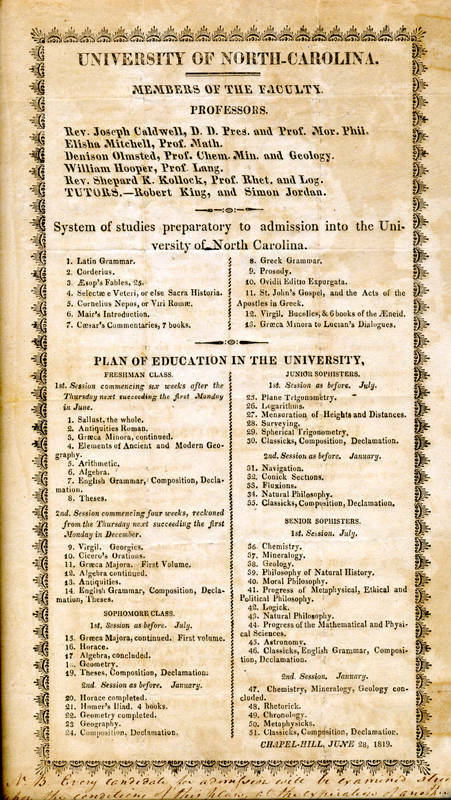 Like other antebellum colleges, the university's early curriculum emphasized Latin and Greek literature. Antebellum educators argued that these ancient languages introduced students to the basic values of civilization and to the skills necessary for oratory and essay writing. Some Protestant denominations also expected their ministers to be able to read the New Testament in Greek, its original language.